Bling It On! With Hpnotiq: Submit Your Glammest Nails Now For A Chance To Win! Hey polish loves! Happy to be sharing with you a great opportunity!! Hpnotiq is collaborating with me (and many others) to offer some really great prizes for you, just for sharing your glammest nails! Love glam things? From now until July 28th 2013, Hpnotiq wants you to show them how you GLAM LOUDER to win fab prizes! During each 2-week challenge you can submit photos in different categories to win - including the glammest nails, makeup and overall look. Entries can be pictures you snap yourself or images you find online. Ready to Bling It On!? Here are the glamorous PRIZES that are up for grabs: One year of manicures/pedicures worth up to $1,200, a $1,000 gift card to Sephora or Ulta, AND a chance to win the grand prize trip for you and three friends to go shopping with a celebrity in Los Angeles! Even better - the grand prize winner will star in a professional photo shoot for the chance to be in a real Hpnotiq Ad! Want to ENTER? Hpnotiq’s Glammest Nails Challenge is going on RIGHT NOW - but hurry – the entry period for the glammest nails ends at 11:59:59 a.m. EST on June 30th! For this challenge Hpnotiq wants you to show them the glammest nails, nail art or nail finish that you’ve ever seen or done. Think you can nail it? You can enter as many times as you want! Snap a pic of your own, or find a pic online. For this round, they’re choosing 4 lucky winners to receive free mani/pedis for a year valued up to $1,200!!! To enter visit http://9nl.it/irby/, or visit Hpnotiq’s Facebook page OR follow @Hpnotiq on twitter and tweet them your picture using the hashtag #GLAMLOUDER. 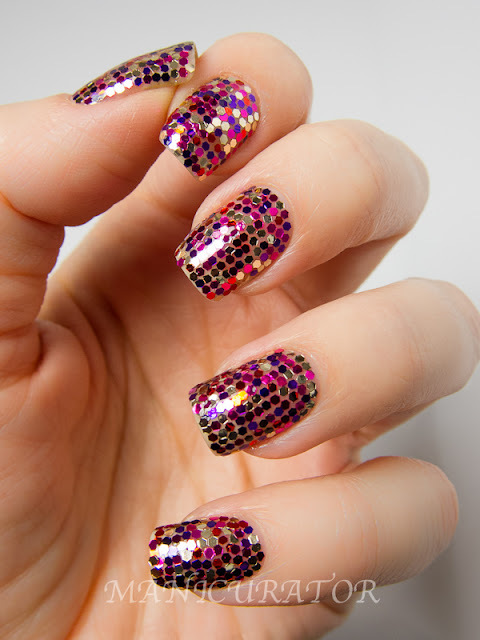 Here's what I think are my blingiest, glammest nails! Do you remember these? See all the contest rules here. This post and contest sponsored by Hpnotiq.